Netflix has declared that binge watching of TV shows is the new normal. Don't you feel better now? Watching multiple episodes of TV shows at once has grown common as DVD box sets and more streaming video services have made it easier and easier. Now binge-watching has reached new heights, Netflix declared in a press release. Marketing company Harris Interactive conducted a survey on Netflix's behalf and found that of 1,500 US adults who stream TV shows at least once a week, 61% binge watch regularly. Respondents were not provided with a definition of binge watching, but 73% defined it as watching two to six single episodes of a TV show in one sitting. That may come as a surprise to some self-proclaimed binge watchers, as watching two episodes in one go actually seems so normal that it's hardly worth noting. After all, if binge watching is capped at six episodes in a sitting, according to these respondents, then what's it called when you watch an entire season of Game of Thrones without leaving the couch? Anyway, another 73% of those surveyed said they enjoy binge watching and don't feel guilty about it - big shocker there. And 79% said binge watching makes shows more enjoyable, while 37% said they prefer to "save" new shows or seasons to stream them at a later date instead of watching them when they're new. Finally, 51% of binge watchers like to indulge with at least one other person, and 80% would rather stream a good TV show than scroll down their Twitter or Facebook feeds. Go figure. Netflix even hired a cultural anthropologist, Grant McCracken, to find out why TV viewers are binge watching shows. Apparently "because they can" isn't a good enough answer. "I found that binge watching has really taken off due to a perfect storm of better TV, our current economic climate and the digital explosion of the last few years," McCracken noted. 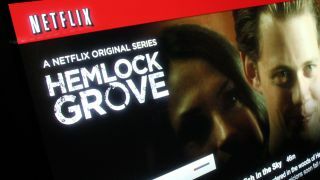 And the fleeting nature of digital life, "where storytelling is often reduced to bite-sized, 140-character conversations," makes long-form TV more attractive than ever, McCracken's research suggested. Netflix Chief Content Officer Ted Sarandos piped in to say that Netflix's data suggests most users prefer to have whole seasons available at once, as opposed to the traditional model of individual episodes being released week to week. "Netflix has pioneered audience choice in programming and has helped free consumers from the limitations of linear television," Sarandos said. "Our own original series are created for multi-episodic viewing, lining up the content with new norms of viewer control for the first time." And we're thankful for that. Super HD for all! Netflix adds highest quality streams for every subscriber - but is your device compatible?